Organic stilton from Cropwell Bishop. 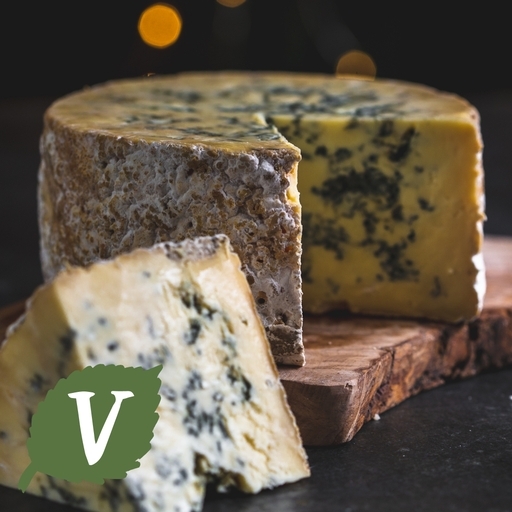 This is the only stilton to ever win Supreme Champion at the British Cheese Award, and we can taste why: it’s superbly rich and tangy, with a smooth, melt-in-the-mouth finish. A fine cheese to savour spread over an oatcake with a touch of chutney. It also goes brilliantly with sweet flavours like honey, pears and pudding wine. Buy organic cheese online and we’ll deliver straight to your door. For more festive treats, visit our online shop. Keep in the fridge for up to 7 days or freeze on the day of delivery. Serve at room temperature. Cropwell Bishop Creamery is family owned and run, based in the beautiful Vale of Belvoir, near Nottingham. The Skailes family has been at the heart of the business for three generations. Pasteurised cows milk, salt* (2%), cultures, vegetarian rennet.